Curtis Watts has performed at over 800 high-end events for celebrities such as Oprah Winfrey, Robert DeNiro, Kanye West, & Matt Damon (see photos.) 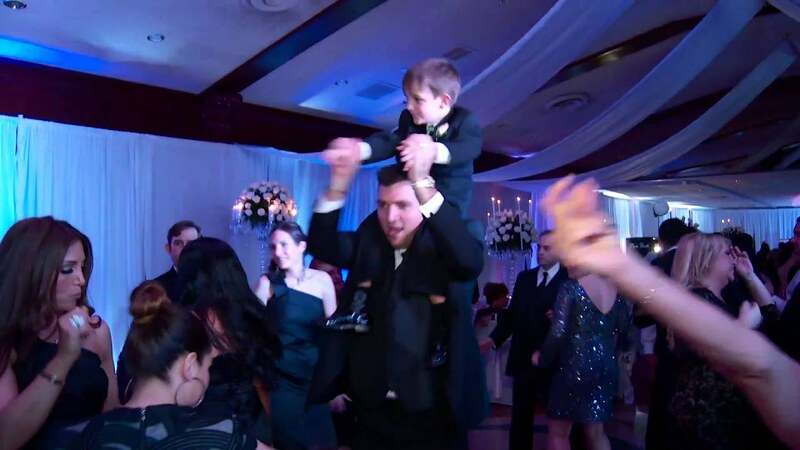 His decade-long track record of taking private parties and club events to the next level has enabled him to transform bar/bat mitzvahs, weddings, birthday parties, & other private/corporate events throughout Manhattan, Long Island, New Jersey, and beyond the New York tri-state area. 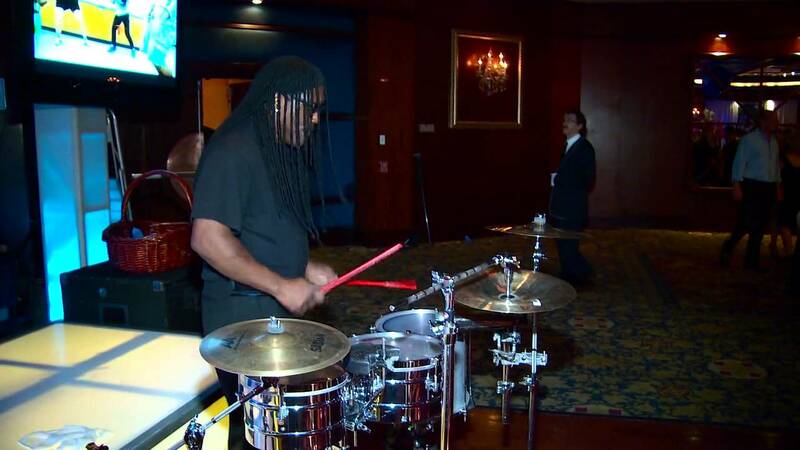 Performing alongside either a DJ or band, Curtis can bring an unparalleled energy to your event with his drum set, and by engaging guests with solo hand & stick drums played in the center of the action. Curtis also has a samba band and jazz quartet available for hire. To whoever is reading this review, you're probably looking around (like I was), to see if hiring CW Productions is worth it. I'll save you time from reading the whole review to say: BOOK HIM NOW! He's worth every penny. 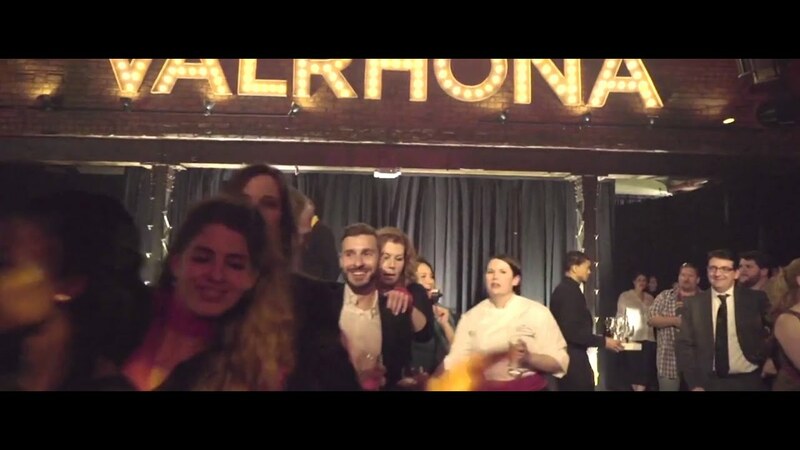 I had been toying with the idea of adding live entertainment to my wedding reception (we hired an amazing DJ) for a while, when I came across Curtis on GigSalad. I have to say, I was hesitant. Justifying spending the extra money was tough, but I went with my gut and asked Curtis if he could play for an hour at our reception with the option to extend and play longer. Fast forward to the day of the wedding: after less than five minutes of Curtis playing at the reception, I looked at my husband and we both nodded. We had to have him for the entire night. It's difficult to put into words exactly what Curtis does, because while I can say "he took our wedding reception to the next level", it really doesn't do him justice. He wowed every single one of our guests, our dance floor was packed to the point that people could barely fit, and he gave us chills when he played. He. Was. Incredible. Since our wedding day, people have commented on how great he was, his performance was unforgettable. I am so so SO happy I followed my gut. I cannot say enough good things about him. THANK YOU CURTIS, YOU WERE AMAZING!! Thank you, Marinee, for such a great review! And thank you for having me play at your party in the heart of NYC. I hope that your wedding reception goes down in the books for being unforgettable...I know it's one that I'll never forget! Curtis is extremely talented and professional. He is the life of every party or event he does. He certainly knows how to show everyone a good time! Thank you so much Chantal for your heart felt review. I am so happy i was able to make a difference for you and your guest at the Nightclub. I look forward to our next endeavor. CWP is a rocking drummer and charming person himself. Have enjoyed his drumming over the years at many of the city's high end clubs and just recently had him play for us along side Bollywood Beats for a private event. He rocked the house, and the dance floor with his skillz. He quickly gets with the rhythm of almost any kind of music and the best part is knows and feels his audience to adapt accordingly to make sure everyone has a great time. Thanks CWP! Thank you, Rahul! Loved taking your private party to the next level -- awesome energy! Recently I had Curtis come to my wife’s 40th bday party. He came dressed and ready. He was awesome! I had met him many times before, and already knew and loved what he does. He made the entire party!!! Everyone there said they had one of the greatest nights ever, and everyone agreed that the drummer made the night!!! He was awesome and got everyone into the party. Thanks, Nick, for such a great review! I sincerely appreciate your feedback — the birthday party was such a fun event to play at and I was honored to be a part of it! Curtis is an extremely talented performer and a very professional. He was able to put on an incredible performance and increase the energy at all of my events. I have used Curtis for all my events and will continue to do so. Thank you for such a great review, Steve. I love bringing the energy to your events and taking them to the next level! I've had Curtis at almost every big event I've thrown. flown him out of state on many occasions. he is always the life of the party and adds so much fun to every event. I cannot recommend him highly enough! he is also a total sweetheart and so easy to work with! Thank you, Leora! It's an honor to be able to play for your events and you are a dream client! Curtis was unbelievable at our wedding! He made it impossible for anyone to want to sit down! The energy that he brought to the event is unexplainable. I highly recommend Curtis!! Thank you for such a great review, Adam! I absolutely loved playing at your wedding and interacting with your guests to get people on the dance floor! Congratulations! Curtis has a gift like no other! Curtis brings the vibe and takes the party to the next level. He truly made the party! He has a real gift!!! Loved taking your party to the next level, Michelle! I absolutely loved playing for you and your guests! Curtis is not only a world class percussionist- he also has more energy than anyone I've ever met! He really made the night memorable. I would definitely recommend him for any party!!! Thanks again Curtis! It was our pleasure to work with you! Hi Shobi, on behalf of CW Production's team we want to thank you for your wonderful review and we look forward to being apart of your next event. Curtis Watts ROCKED Our Party! 1. Prior to the event: Curtis was thorough and communicative to ensure he was going to deliver us exactly what we wanted. 2. During the event: Curtis showed up on time, brought the house down and did exactly what he said he was going to do. 3. After the event: Even though we had a live guitarist, aerialists, a killer DJ - the one thing everyone talked about was Curtis! 4. Your event: Hire Curtis. Thanks, John, for such positive feedback! I loved playing at your party — great energy and great people! Curtis was by far the highlight of our wedding. Beside me marrying the love of my life of course! He went hard and kept going strong the whole time he was there. I highly recommend him if your looking for a little interactive entertainment to light up the night. He didn't just stick to the DJ booth and dance floor, his drums marched with him has we congo'd through out the whole rooftop to visit all our guest. Katherine, I can't thank you enough for having me play at your wedding reception and for such a heartfelt review! Curtis Watts was the upmost professional and AMAZING VENDOR. Him and his Saxaphonist made our wedding SO much fun! It was the best wedding!!!! Curtis is the ABSOLUTE BEST! There is no other way to put it. His Saxaphonist played live during dinner and Curtis amped the party all night with the drums. Curtis is and he collaborated so nicely with our DJ, photographers, videographers, and all other vendors. Curtis was extremely responsive and if we would give Curtis a thousand stars if we could. The music throughout the night was PERFECT – and Curtis played along to EVERY SINGLE SONG– it was a perfect balance of American, top 40, salsa, merengue, reggaetón, etc. Everyone loved the music and our dancefloor was PACKED at all times. Curtis really made the party come alive. Curtis is reasonable, detail oriented, punctual, and the payment was so easy. Just an overall delight to work with Curtis and I would HIGHLY recommend for not only weddings but for any event. We wish we could relive that night! It was the best night of our lives! I met Curtis at a party in which he was playing various hand drums. He was fabulous. Although the DJ was great- Curtis's music was the force that kept the party alive. 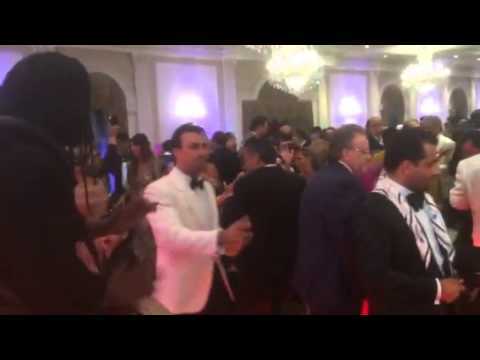 He engaged guests to dance and feel the music. Since then, we have hired him to play at our own party and he did not dissapoint. He puts his all into the planning and performing and creates the energy makes the party happen! Thank you so much Louann! Professional, fun and party saver! I'm from Amsterdam, the Netherlands and organized a party for Dutch entrepreneurs in Manhattan. We asked Curtis to perform at our rooftop party downtown NYC. He is such a wonderfull personality. Making arrangements with him was very easy, he is a true professional and can play just about any kind of music you like. When our sound system broke down, Curtis stepped up and freestyled while drumming away. He litarly saved the party and everybody was raving about it!. I can highly recommend working with him! Thank you Wendelien for your review! Curtis brings a standard drum/percussion set up as well as solo hand and stick drums. 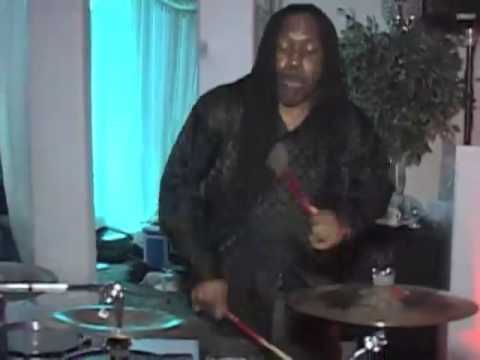 He alternates between performing with the drum set and wearing the hand/stick drums and circulating around the party interacting with guests as he performs. The drums he wears have an LED light set up to add an extra element of ambiance. Curtis can play as an accompaniment to a DJ to bring a high energy level to the crowd. If you've hired a band for your event, Curtis can play between their sets with the DJ. He generally wears all black to private events and can accommodate different requests for attire. Curtis Watts has been on the music scene in multiple capacities for many years. Being born in Harlem and raised in the South Bronx has given this native New Yorker the opportunity to employ every angle of his experiences and influence to develop one of the most innovative sounds of any composer and drummer in the modern world of today. Curtis Watts’ credentials extend far beyond the norm, as he has recorded and performed unlimited songs from the Jimi Hendrix catalog for today’s contemporary audience with guitarist Vernon Reid and played drums on Salif Keita’s CD Papa, which won a Grammy award. He remixed Mick Jagger’s debut single Sweet Thing with Anton Pukshanski on his solo CD. He also remixed Living Coulor’s single with his group SSL (Smokin’ Suckaz wit Logic). Curtis also performed a live duet recording with jazz guitarist Stanley Jordan and drummed on Lloyd Cole’s third CD bad vibes on Capital Records. The songs from the CD PAPA are in the blockbuster movie Ali starring Will Smith. This has gained much respect for Curtis in the motion picture industry. Also added to his credits are music and performances in the movie Street Fighter 2 (the animation movie). In addition, Curtis had the opportunity to record on Hip Hop artists’ CD’S such as KRS-1 of Boogie Down Productions, Eric B. & Rakim, Large Professor, Todd Ray – producer for Cypress Hill and Santana, De La Soul, Salt & Pepper, Pete Rock & CL Smooth, Kid & Play, EPMD, G. Rap & Polo, Redman, Nasty Nas, Heavy D & the Boyz, D J Red Alert and Busta Rhymes. As a musician for hire, Curtis Watts has performed as well as shared the stage with Jay Z. Pharell, Stevie Wonder, Santana, Terry Bozio of the Frank Zapper Band, Jaco Pastorius with Delmar Brown, Ozomati, Pharaoh Sanders, Teo Macero – producer for Mile Davis, Roy Ayers, members from the hit group Gypsy kings, Trilok Gurtu , Salif Keita, Hip Hop producer Prince Paul, D J Logic project, Groove Collective, and Ciro Baptista. He's performed as a supporting act for artists including Wyclef Jean, Black Eyed Peas, Kanye West, Ludacris, Robert Randoff, Roots, Common, Julian Marley, Tabib Kweli, Omar and others. Curtis was also involved with the tap-dance community, drumming for the famous tap dancer Buster Brown in jam sessions at Swing 46 which featured Savion Glover, the late Gregory Hines and Jimmy Slide. In the world beat music community, Curtis is highly respected and recognized as an accomplished world percussionist & drummer. He has performed with the great African master and mentor, drummer sensation Baba Olatunji, musician/dancer Amadoi Boli, and all of the best west African djembe drummers emigrating to the united States. These greats also include Brazilian artists such as Pe de boi, Katenda, Manhattan Samba group, Samba Novo, and Batucada. Curtis has also served as founder of BATTERY DRUMLINE and is on its Board of Directors. Directors, Battery Drumline was featured on NY1 News as NEW YORKERS OF THE WEEK all on account of Battery Drumline. As of today Curtis Watts is currently associated with Sony publishing and independent labels as a songwriter/producer and drummer. Curtis performs alongside your DJ and performs with excellence to any play list. From R&B to oldies to modern pop hits, Curtis can make any musical genre sound amazing!